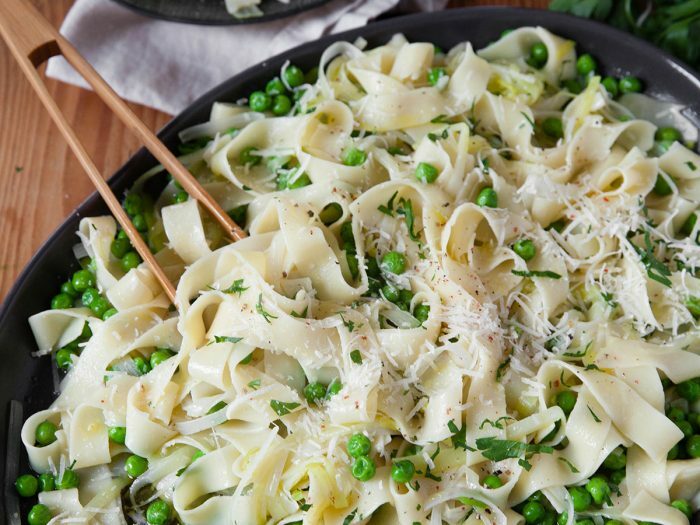 Braised Leeks with PeasBraised Leeks with Peas is a good solution to eat vegetables and legumes mixed together in a delightful dish. A few light ingredients and a short amount of time to create an innovative side dish. 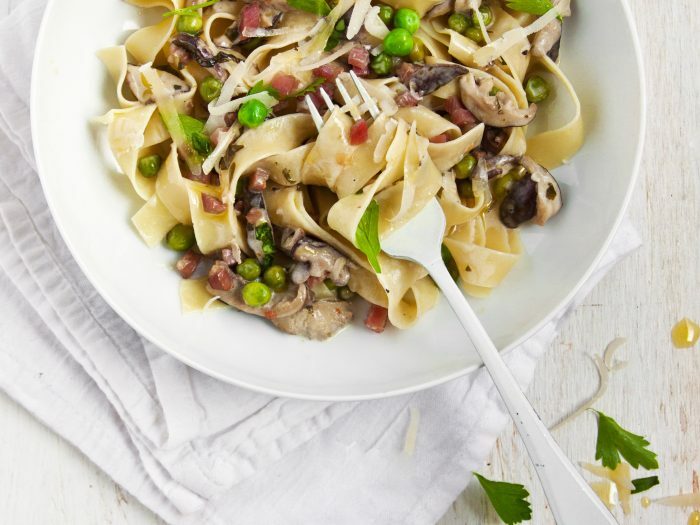 Shiitake Pappardelle with Pancetta and PeasThis delectable dish is rich and earthy thanks to the shiitake mushrooms, and the vegetables and herbs add a balanced spring flavor to the dish. The sauce lingers in the pasta, creating the perfect bite. Serve and enjoy!